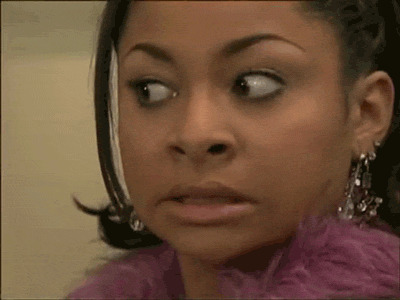 This is an animated gif of Raven Lydia Baxter from "That's So Raven" nervously chewing on a piece of gum. The actress is Raven-Symoné. This can be used as a reaction gif whenever you're feeling overly nervous about something that is about to transpire.